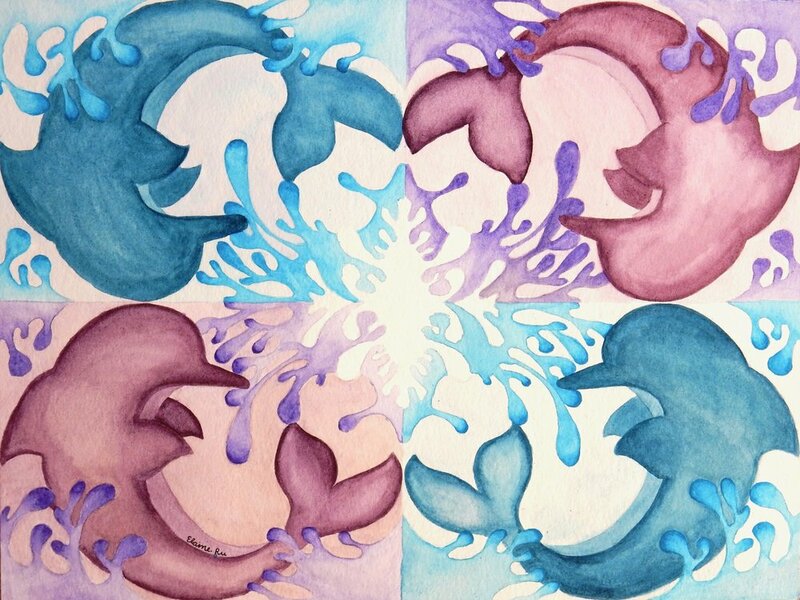 This watercolor is from the motif project where students must create a design that later will be repeated four times onto watercolor paper. The design can be repeated in any way they choose including upside down or the reverse side. She then selected the color scheme that best suited her vision for the piece.